Little, Brown and Company, 9780316217385, 336pp. Courtney Angela Brkic is the author of Stillness: And Other Stories--named a 2003 Best Book by the Chicago Tribune, a Notable Book by the New York Times, and a Barnes & Noble Discover pick. Her memoir The Stone Fields was shortlisted for the Freedom of Expression Award by the Index on Censorship. Brkic has been the recipient of a Whiting Writers' Award and a fellowship from the National Endowment for the Arts. She teaches in the MFA program at George Mason University, and lives in New York City. "With empathy and poetic grace....Layers of the family's history slip away and truth---involving betrayal, thwarted love, and ultimately reconciliation---is shiningly revealed....The First Rule of Swimming examines lives bruised and twisted by history, like weather-beaten trees that nevertheless manage to produce the sweetest fruit." "Suspenseful....Brkic traces three generations of family history, revealing the wounds of war, exile, and betrayal. The revelations are well paced, and Brkic deftly walks the line between the sentimental and the intimate. The novel draws its narrative force from the characters' desire to protect family and to survive at all costs." "In her exquisitely crafted, superbly structured novel, Brkic summons undertones of Greek tragedy to create her arresting characters and their intense emotions and dire secrets. By dramatizing nuanced questions of who is at fault, who can be trusted, and who will sink or swim, Brkic reveals persistent, multigenerational wounds of war, sacrifice, exile, and longing and imagines how healing might commence." "A sensitive tale of deep emotional force." "This compact, beautiful novel of two island sisters deftly explores what it is to love a place, a person, and the lengths to which one will go to defend them. Brkic is adept at depicting both the timeless paradise of the island, Rosmarina, and the way its brutal history has scarred a family for generations." "Courtney Angela Brkic seamlessly negotiates past and present, silence and secrets, to reveal one family's enduring love-as profound and as perilous as the sea surrounding their island home. With beautiful images and characters that are vividly real, The First Rule of Swimming is a delicately written work of art, about history and memories and the grief at their fading and loss." "Between the dazzling light of an Adriatic island and the gritty streets of New York City, an intriguing world of possibilities - past, present and future - arises. 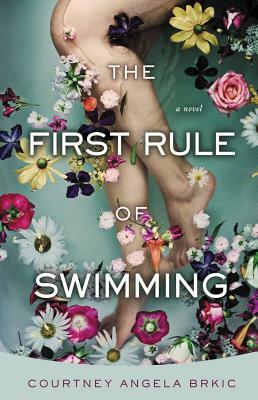 Part-mystery and part-family saga, The First Rule of Swimming explores the variety of ways in which the physical and psychological landscape of a place can be altered forever by politics and immigration." "Think of your most cherished memory. Now think of your saddest memory. What if the two were so connected to each other that one couldn't exist without the other? You'd have to find a way to forge forward, containing the pain and beauty, both. And you'd find a way. Because you must. And Courtney Angela Brkic's tender and tough novel The First Rule of Swimming could be your guide. In which case, you'd be in the best of hands." "Brkic is a shimmering talent. She writes with precision and power about three generations of a family caught in a cycle of war, sacrifice, love, and loyalty. Brkic's portrayal of the family's brutal, mysterious transformation is held in perfect tension, and tenderly told in language that is as fluid and crystal-clear as the island seascape around which the story revolves. The thing that perhaps stays most with me about this book is its heart: vulnerable, resilient, generous."